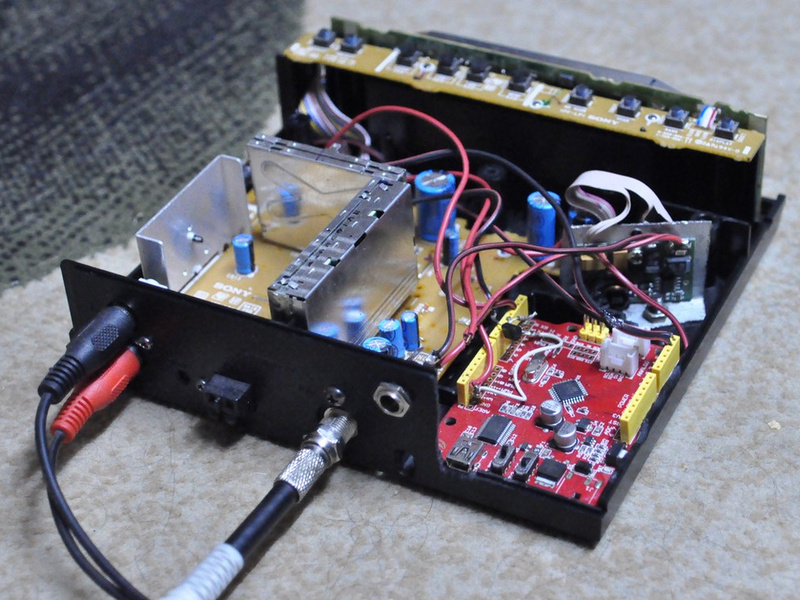 Petr Vozár from Přerov, Czech Republic added an Seeeduino board along with some connectors on the back side of XDR-F1HD: DB-9 for antenna switching, 3-pin DC for power supply and full size USB socket. 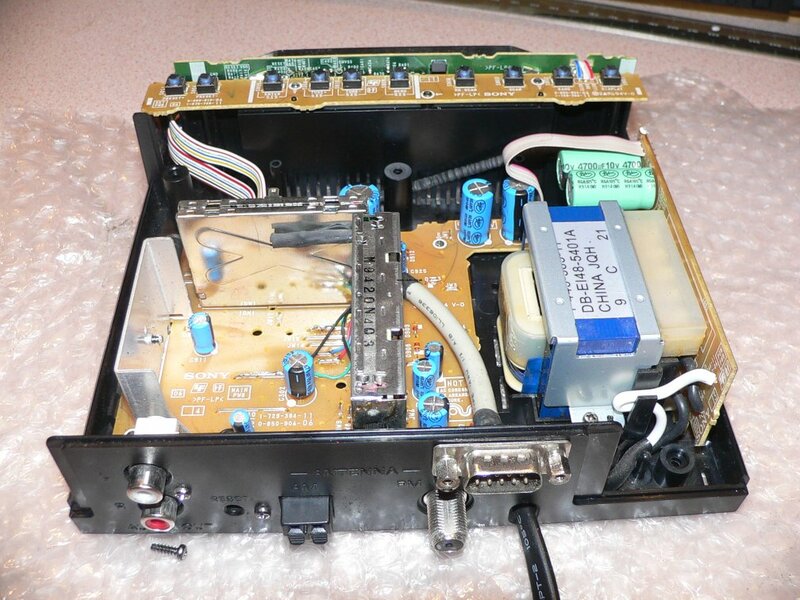 His tuner has no power supply inside. 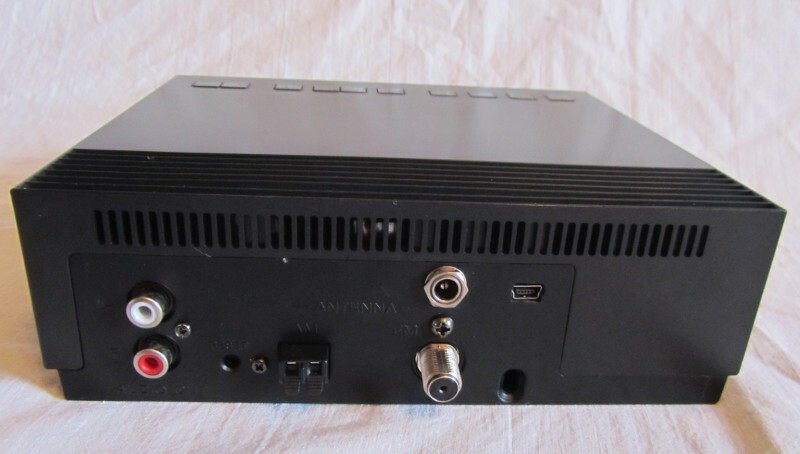 There is also a special box with relays for antenna switching, it is possible to use it manually or with XDR-GTK software. 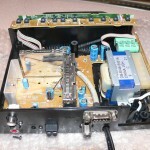 The RF switch part is described here, except that he used 75Ω F-connectors. 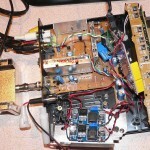 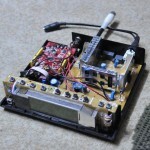 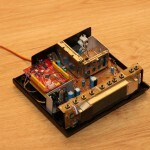 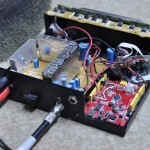 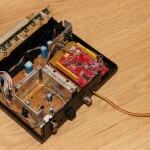 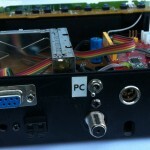 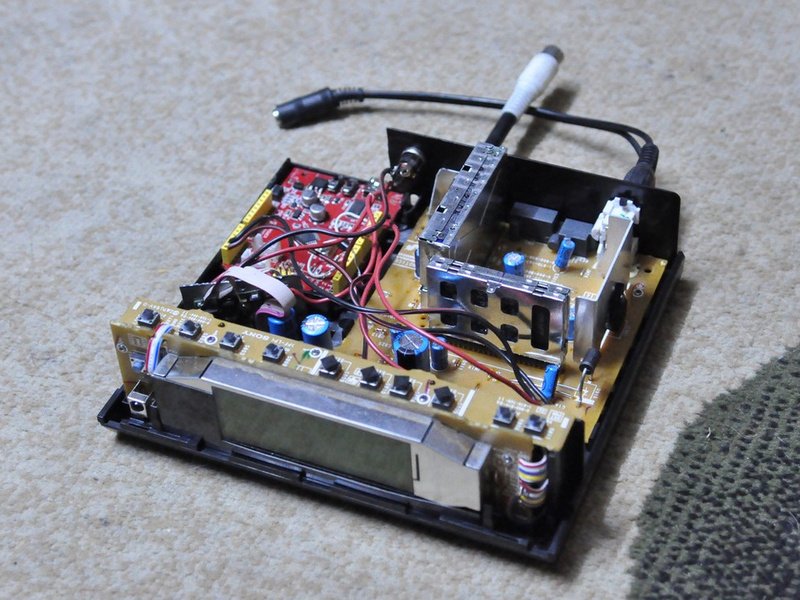 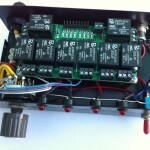 Petr says that his antenna switch has excellent performance, high signal isolation and insertion loss less than 0.1dB. 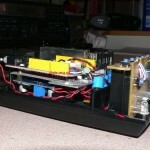 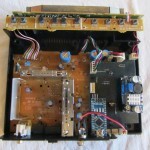 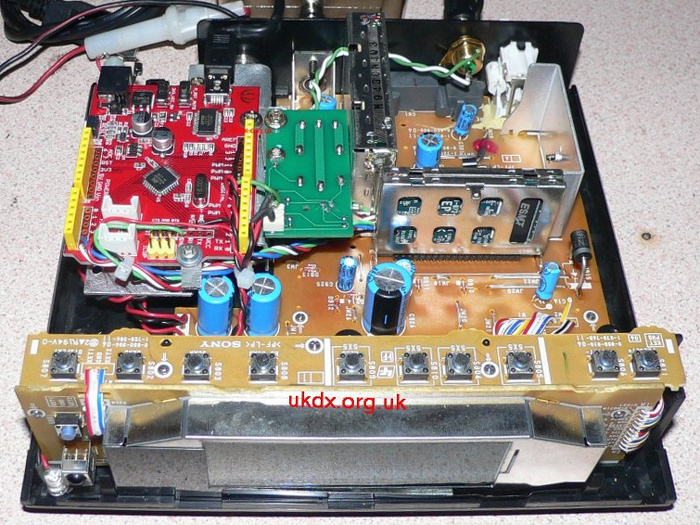 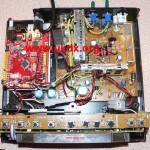 This is a XDR-F1HD modified by Mike Fallon and Paul Foley from England. 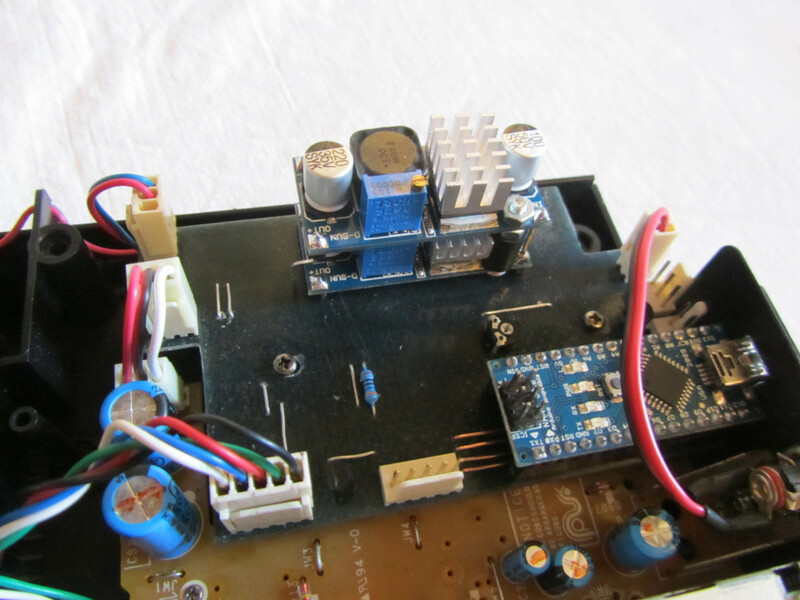 It is equipped with a pair of adjustable power supply modules based on LM2596S, the Seeeduino v3.0 board and satellite antenna switch rated down to 10MHz with relay PCB that accepts logic input level. 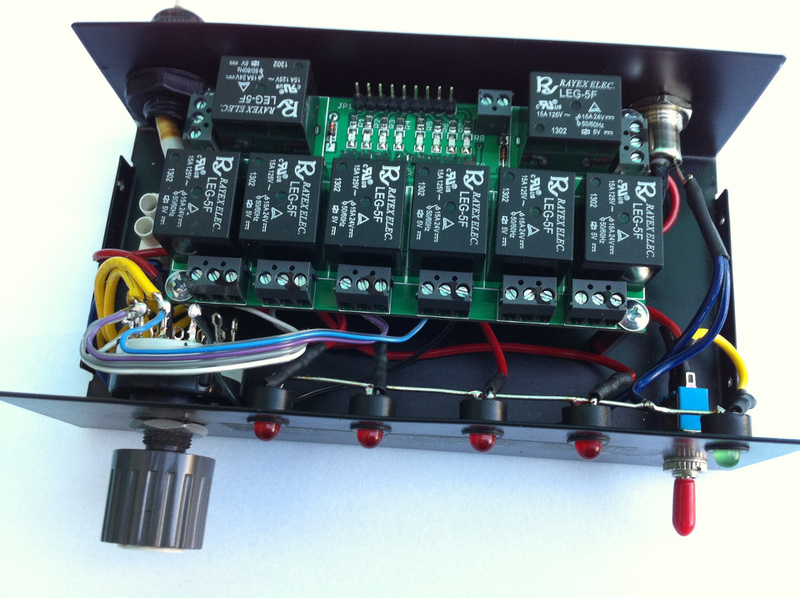 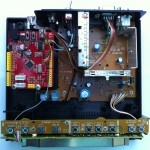 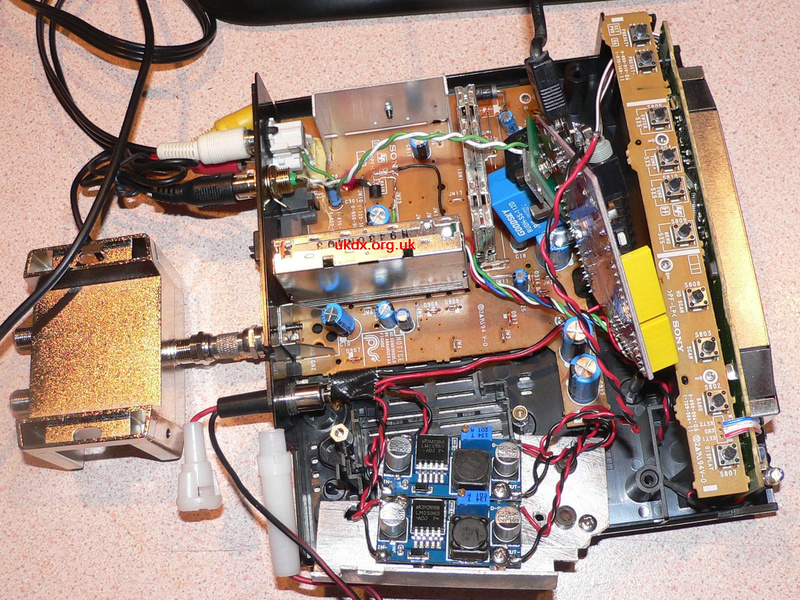 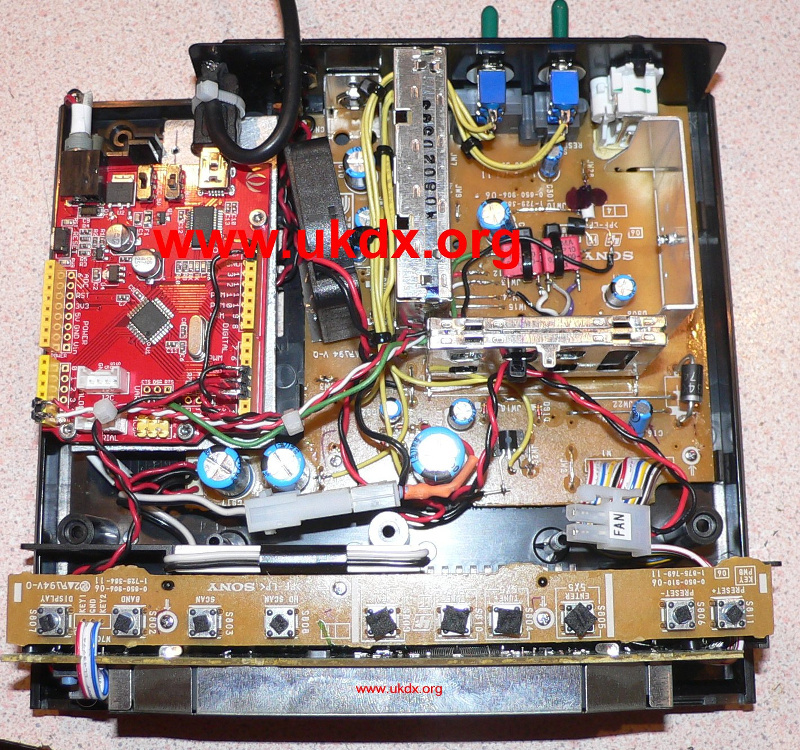 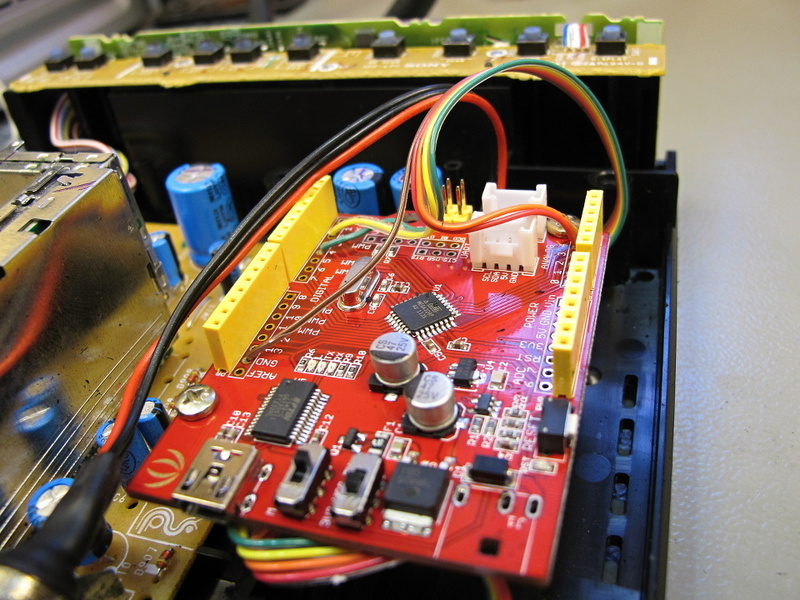 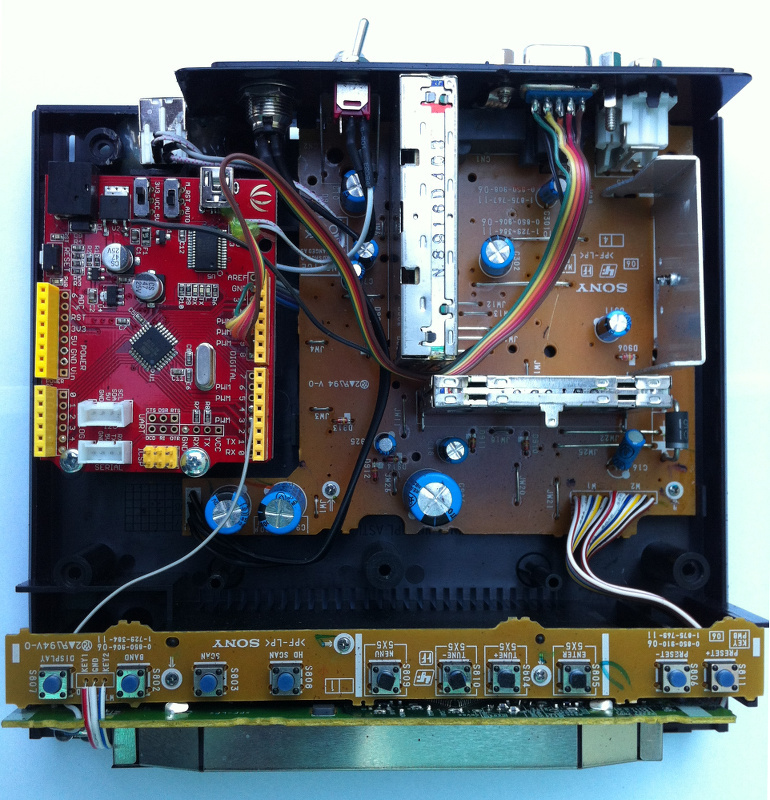 Paul Foley from England has fitted the Seeeduino board and DC converters internally into his XDR-F1HD. 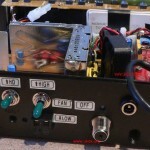 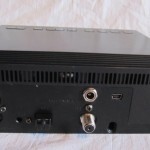 This tuner has also a fan and HD radio switch on the back side. 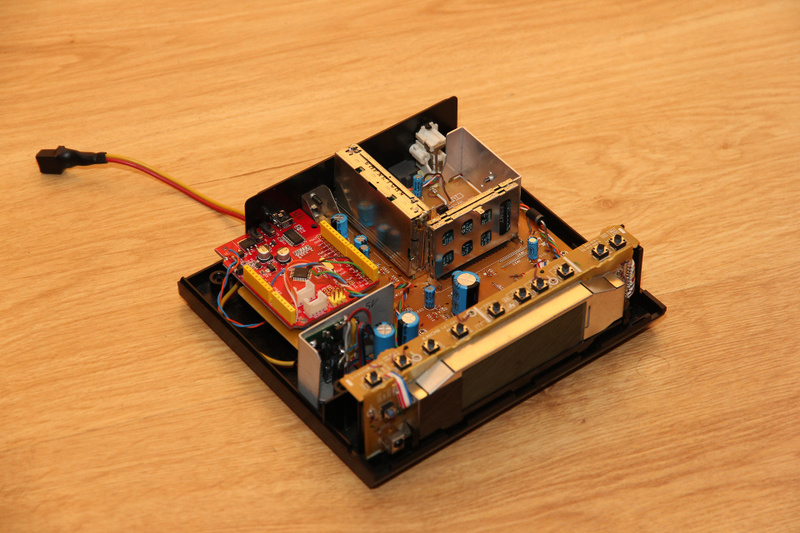 This is another tuner modified by Paul. 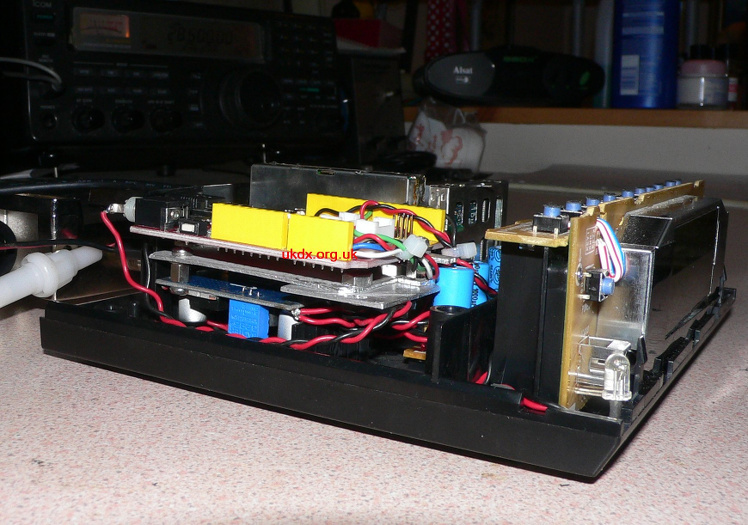 The Seeeduino board is placed in an external plastic enclosure. 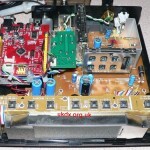 The transistor is inside the 9D shell on the end of a 1.5m screened multicore cable. 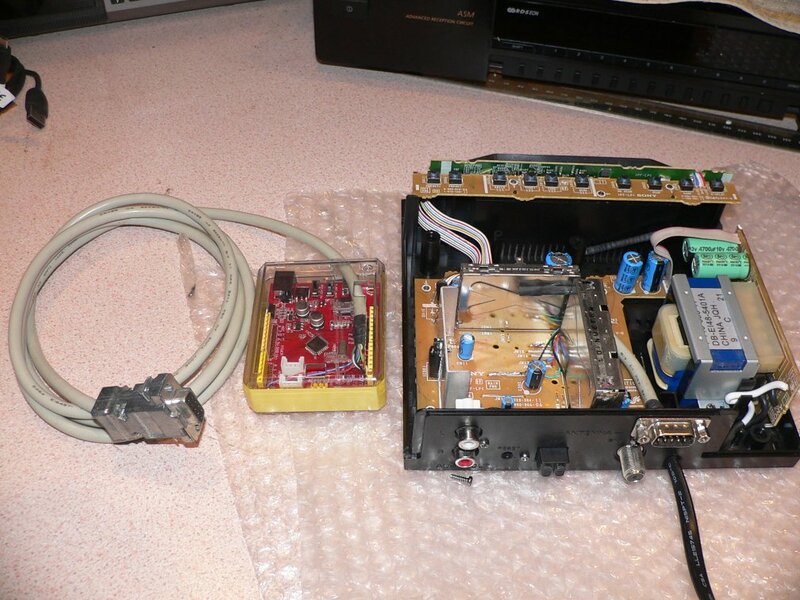 Pavel Flégl, a member of CSDXC (DX Club in the Czech Republic and Slovakia), has performed a very neat and cheap XDR-F1HD modification using widely available components: Arduino Nano V3 ($3), levelshifter 5V->3.3V ($1), 2x DC-DC LM2596-based regulator ($2) and switching power supply 12V 2A ($5). 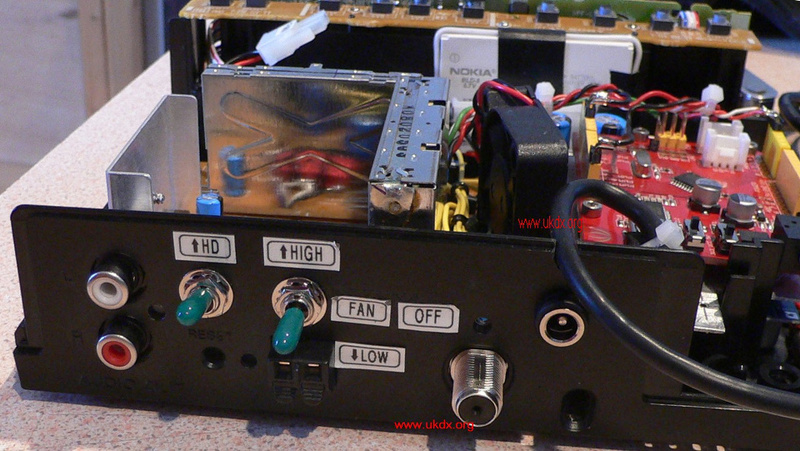 Emel from Góra Kalwaria owns the second XDR-F1HD modded in Poland. 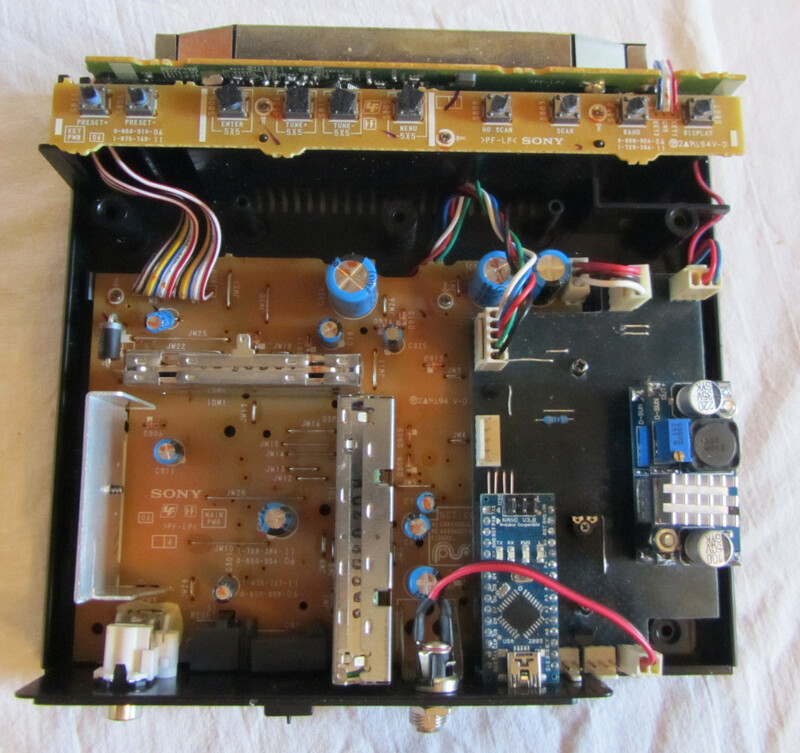 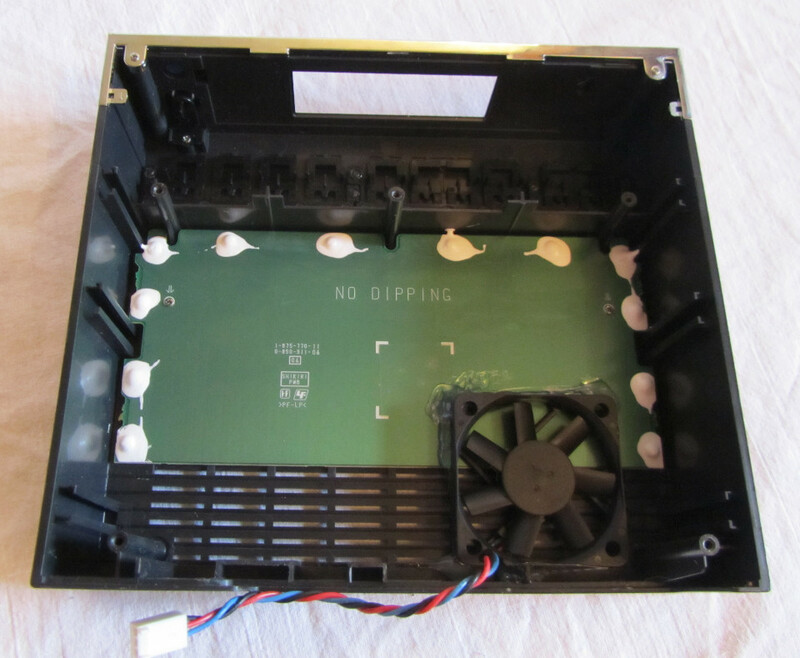 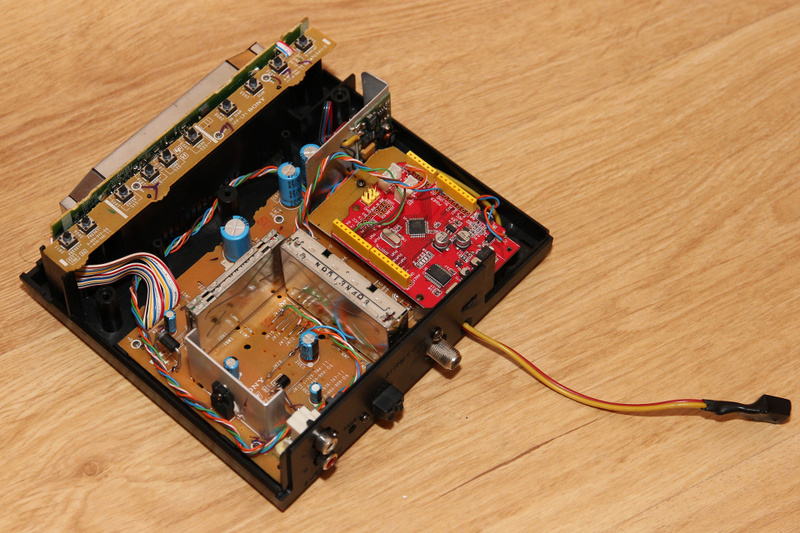 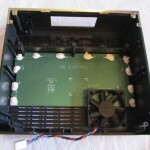 After chipping out the tuner’s enclosure plastic and removing the original AC power supply he managed to fit everything inside. 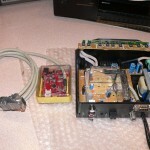 He also took a pair of L5973D-based DC switching regulators. 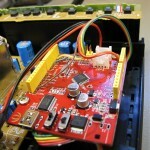 Alan P. from Skalbmierz, Poland took some wires from an ethernet cable for connections between Seeeduino and XDR’s main board. 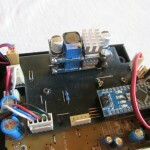 10V and 5V voltage is supplied by L5973D-based regulators.